It takes a special kind of person to bring an idea to life with paint and a brush. 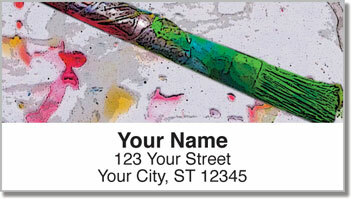 You start with that first stroke on a blank canvas, and bit by bit your next work of art is born. 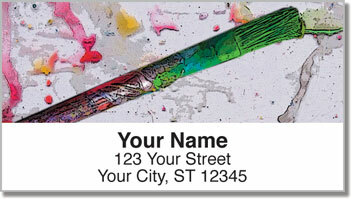 Painters Palette Address Labels from CheckAdvantage capture those messy moments when you get caught up in a flurry of creativity! That's when the magic really starts to happen. 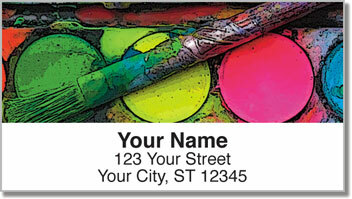 Express yourself using these colorful address labels and save tons of time too! You'll never have to fill out envelopes completely by hand again. That frees you up to keep being creative! 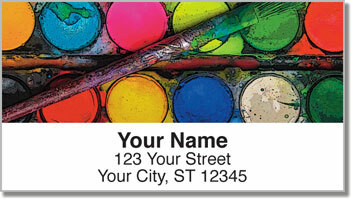 Order your own Painter's Palette Address Labels now! This selection can also be found in a set of matching personal checks.